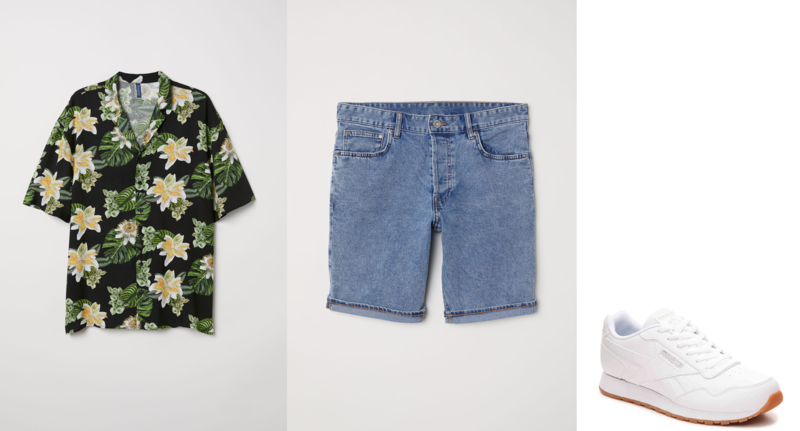 Guys, looking to upgrade your summertime fashion? DFW shopping can be pretty difficult, but Denton’s very own Golden Triangle Mall has the perfect style solutions for all of your needs! The newest trend in men’s style is dressing like our dads used to; if dad fashion is just your speed, Golden Triangle has everything you need! The perfect “dad look” is made up of three things: an oversized shirt, some nice denim/khaki shorts, and a clean, simple shoe. Start off with this black, oversized floral shirt from H&M, which has the perfect flowy fit for the blistering Denton summers. Pair it with these medium-wash denim shorts from H&M which give off total modern dad vibes and make sure you’re both fashion-forward and well-insulated. Lastly, a simple athletic shoe like these Reebok Harman sneakers from DSW to tie the entire look together. 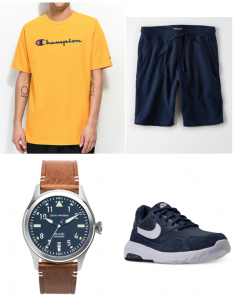 If you’re feeling adventurous, you can pair this fit with some sunglasses from the Sunglass Hut inside Macy’s and a nice bucket hat from Lids. It’s finally socially acceptable to wear athletic clothes out and about, and summer is the perfect time to flaunt your athleisure! Athleisure is all about comfort while still being stylish, and Golden Triangle has all the men’s athletic wear you’ll ever need! Start off with this Gold Champion Script T-Shirt from Zumiez, which gives off the perfect “I just came from a workout” vibe. Pair it with these navy fleece shorts from American Eagle are comfortable enough to pass off as a pair of workout shorts, but fashionable enough to fit within the scope of Athleisure! To complete the fit, these Navy Air Maxes from Macy’s are perfect for the athleisure style. To dress up the look even more, add this Jack Mason watch from Dillard’s. 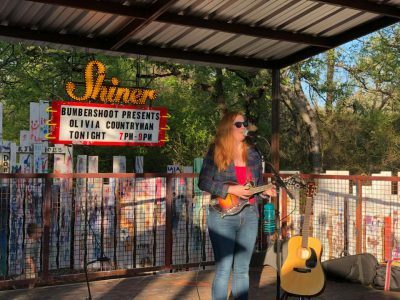 With such an abundant music scene in Denton, you’re bound to run into a Denton hipster or two. 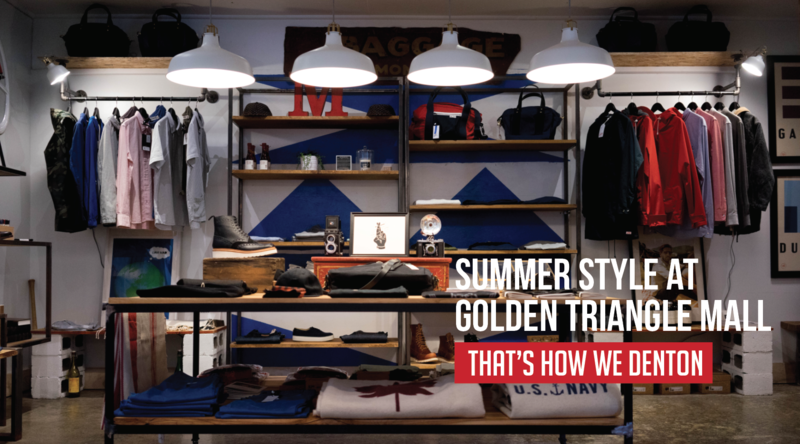 If you want the perfect fit for the Golden Triangle Summer Music Series, Golden Triangle Mall has all the men’s style pieces for a night of live music on the Square! To start off, this comfortable striped burgundy shirt from American Eagle is as hipster as it gets. Pair it with some cuffed slim fit blue jeans from H&M and a pair of brown Birkenstocks from Journeys and you’re set! You’re ready for a night of great music at LSA Burger, or drinks at Cool Beans. 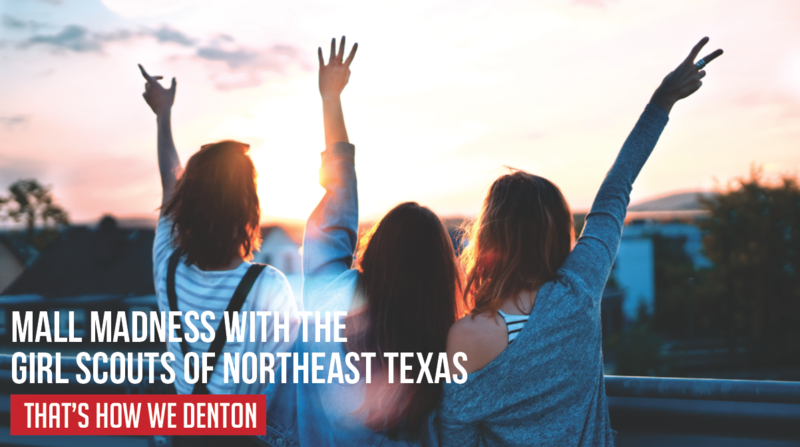 Looking for where to shop in Denton is easy when Golden Triangle has all of your summer fashion needs! The next time you’re looking for a “Macy’s near me” or a “mall near me,” we’ve got you covered.